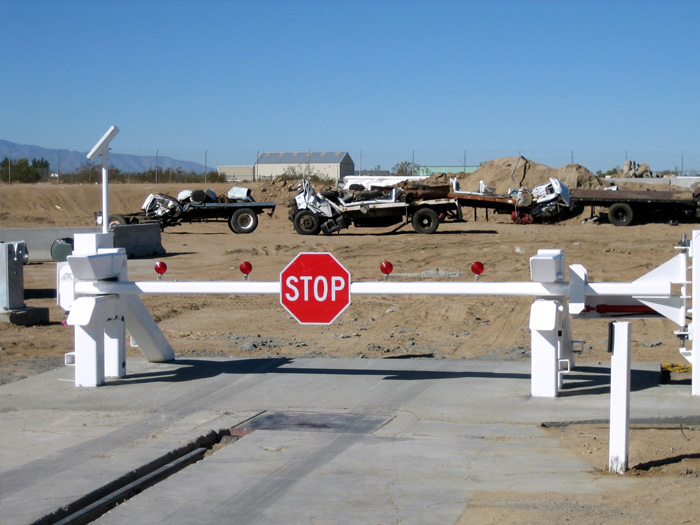 Crash-tested to K54…Advanced counter-terrorism wedge barrier system for sub-surface conditions that negate extensive excavations. 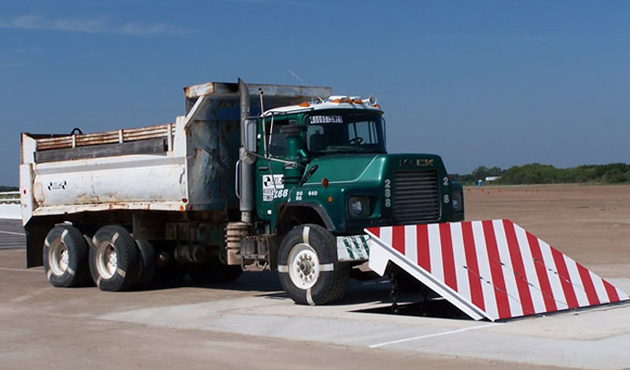 K54 testing exceeds government levels… The DSC501 not only stopped and destroyed a 65,000-pound (5.4 million foot-pounds) dump truck but the barricade continued to stand, preventing a potential second attack. The foundation was undamaged. K12/L3 certification meets government’s highest levels…exceeds Department of State and Department of Defense requirements. 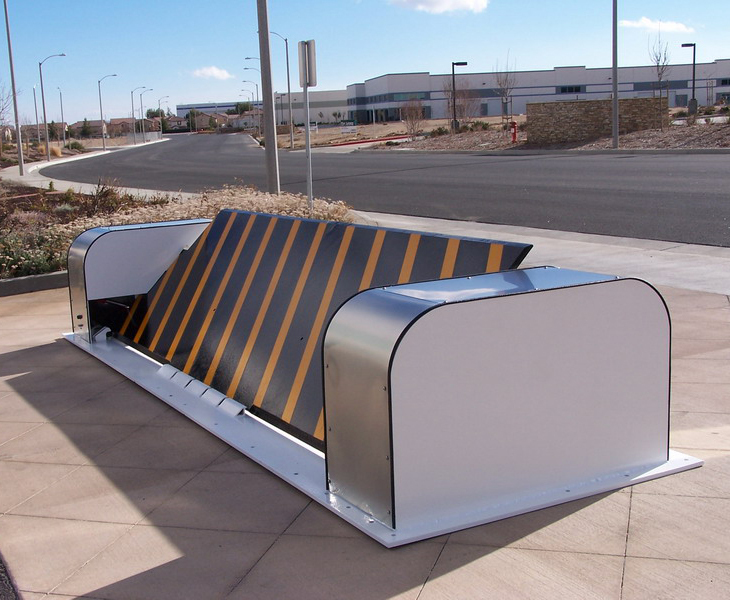 In the United Kingdom, the DSC501 high security barricade has also been tested to stop a 7,500 kg (16,500 pound) vehicle traveling 80 kph (50 mph), meeting the BSI standard PAS:68 2007. 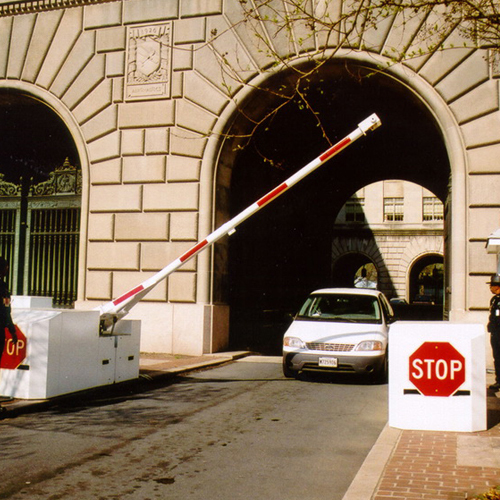 This barricade was designed for the U.S. Navy and has also been selected for use at U.S. Embassies. 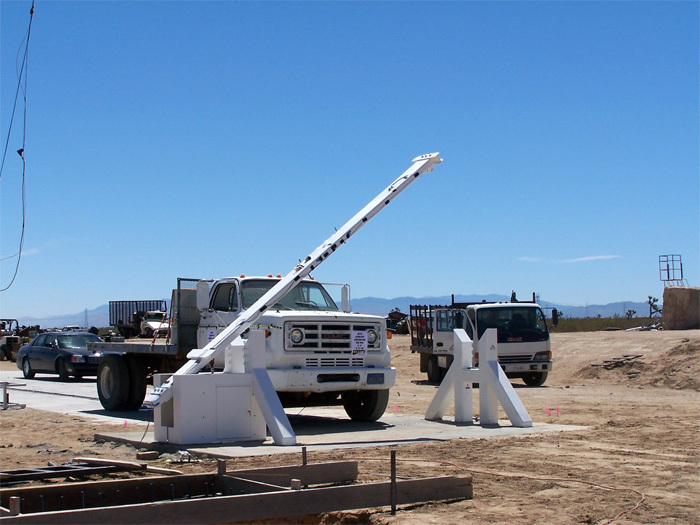 Set in a foundation only 18 inches (46 cm) deep, the Delta DSC501 is able to survive and operate after a 1.2 million foot pound impact. Upon extracting the truck after its crash test, the barricade was fully functional and performed a resounding 27,000 cycles with no wear! 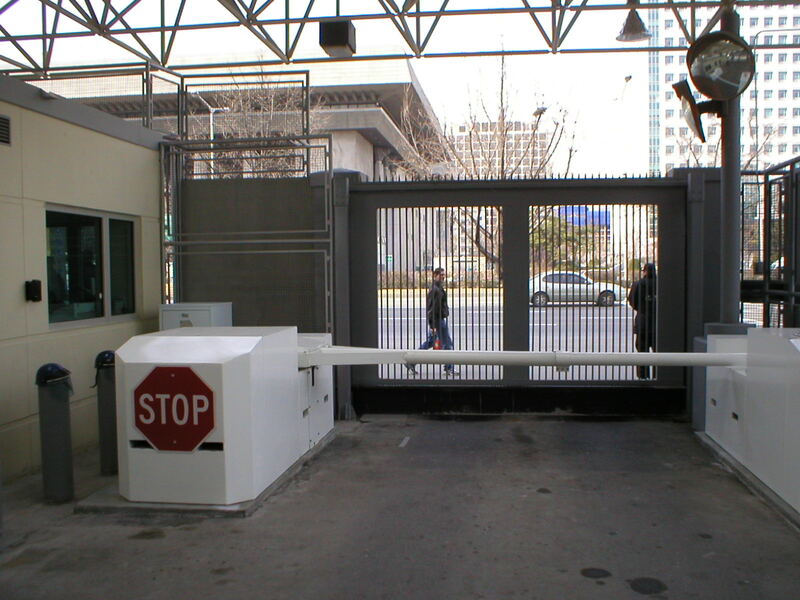 With its shallow foundation and aesthetic design, it is a major breakthrough in high duty, anti-terrorist barricades. It obviates the concerns of interference with buried pipes, power lines and fiber optic communication lines. The shallow foundation also reduces installation complexity, time, materials and corresponding costs. The DSC501 is suitable for high water table locations and areas with corrosive soils. Front face warning lights warn drivers that the barricade is in the “up” position. There is also an open area on the front for signage. Diagonal yellow and white stripes are standard and optional colors and graphics are available. The open channel construction even lets you specify hot dip galvanizing.